Currently studying for my final year at LSE, I am available to tutor in Sociology, Psychology, English (Literature/Language) and Spanish. I have completed A-levels in all these subjects and have further experience in many, both during my university degree and in real-life application. 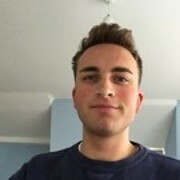 My teaching experience includes privately tutoring for the 11+ entrance exam in London, working as a nursery assistant in London, constructing and delivering my own summer school sociology course in Hong Kong, and teaching local English teachers in Guangzhou, China a course focusing on English language with teaching methods.